Check out the climatic final trailer for Bright, which features a hot new single from Billboard's "Breakthrough Artist" Camila Cabello and musical duo, Grey called "Crown.” This new song will also be included on Bright: The Album available on December 15th. Bright: The Album is produced by Atlantic Records and David Ayer, who were also behind the sensational soundtrack, Suicide Squad: The Album. Hollywood megastar Will Smith along with co-stars Joel Edgerton, Noomi Rapace and director David Ayer will be in Mumbai on Monday, 18 December as part of a world tour to promote his latest Netflix film Bright. 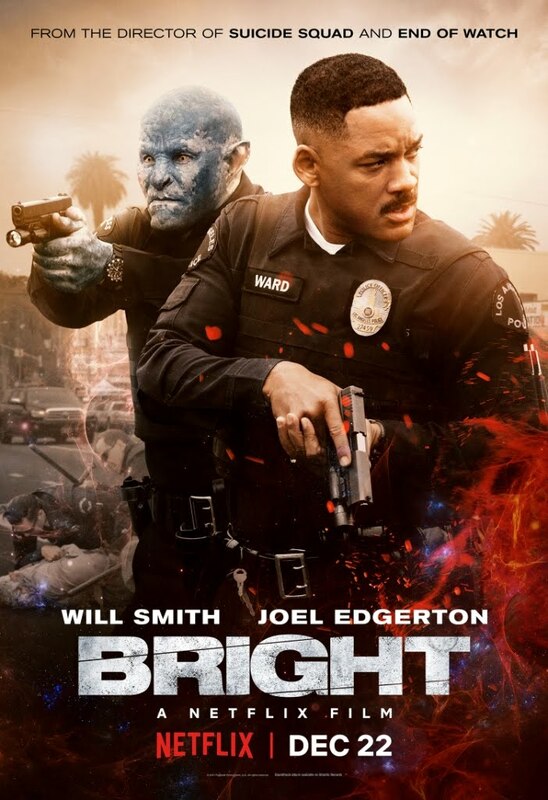 Directed by David Ayer (Suicide Squad) and starring Will Smith, Joel Edgerton, and Noomi Rapace, Bright is a buddy-cop action-thriller that takes place in an alternate present-day South Los Angeles. Bright will release for Netflix members around the world on 22 December. The film is about two LAPD officers, played by Smith and Edgerton, who work to keep the streets of an alternate-reality L.A. safe from a sinister, dark underworld. Fans can catch Will Smith, Joel Edgerton, Noomi Rapace and director David Ayer, with local legends Bani J and Rannvijay, Prayag Mehta and Rishab Joshi (Lost Stories), Vishal and Shekhar live at a high-energy stage performance celebrating Bright at High Street Phoenix Lower Parel, 4:30 PM.